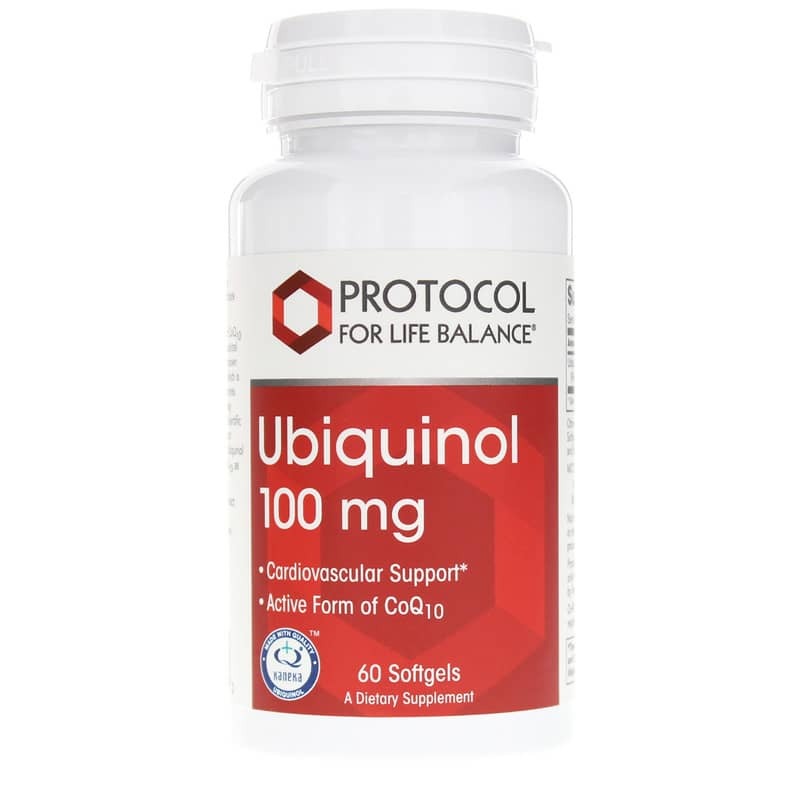 Ubiquinol 100mg from Protocol For Life Balance contains the natural, all-trans form of CoQ10 produced by fermentation for heart health support. 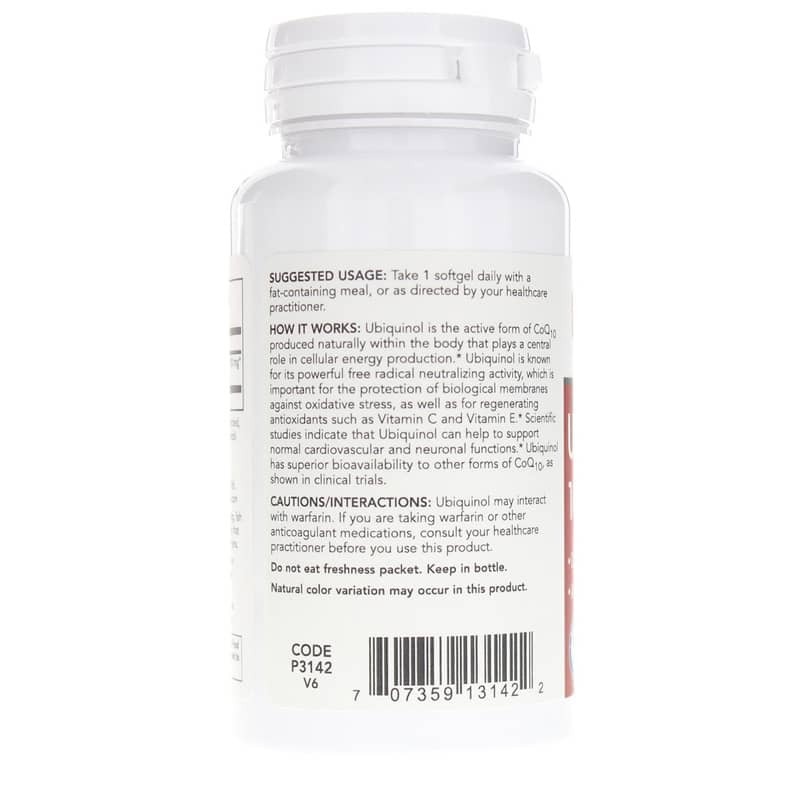 Ubiquinol is the active form of CoQ10 produced naturally within the body that plays a central role in cellular energy production. 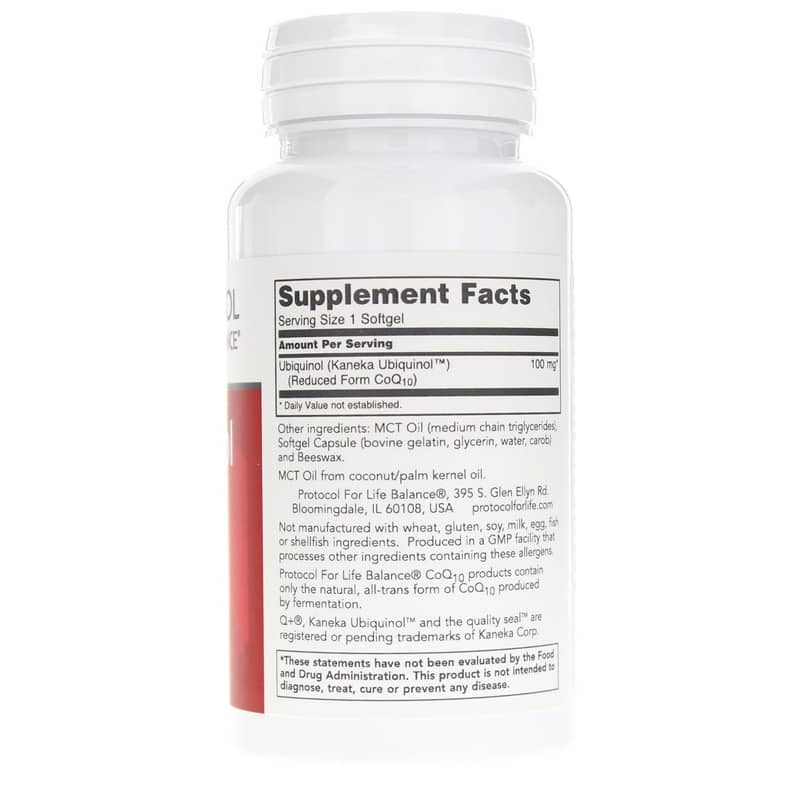 Ubiquinol is known for its powerful free radical neutralizing activity, which is important for the protection of biological membranes against oxidative stress, as well as for regenerating antioxidants such as Vitamin C and Vitamin E.
Scientific studies indicate that Ubiquinol can help to support normal cardiovascular and neuronal functions. Ubiquinol has superior bioavailability to other forms of CoQ10, as shown in clinical trials. Other Ingredients: MCT Oil (medium chain triglycerides), softgel capsule (bovine gelatin, glycerin, water, carob), beeswax. Not manufactured with: wheat, gluten, soy, milk, egg, fish, or shellfish ingredients. Produced in a GMP facility that processes other ingredients containing these allergens. Adults: Take 1 softgel daily with a fat-containing meal, or as directed by your healthcare practitioner. Ubiquinol may interact with warfarin. If you are taking warfarin or other anticoagulant medications, consult your healthcare practitioner before you use this product. Keep out of reach of children.